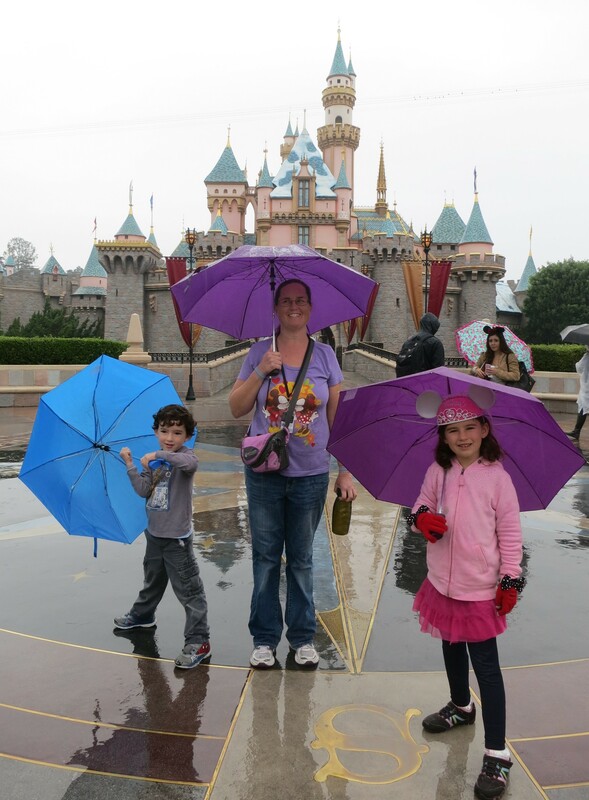 As the rain came down in Phoenix this morning, I flashed back to our two rainy days at Disneyland earlier this month. It was awful. Now, we knew ahead of time that it was supposed to rain, so we were prepared. I brought umbrellas and ponchos for everyone, even the stroller. We kept track of the weather on our various smartphone apps. I kept reminding myself that all of the tip pages out there praise rainy days at the parks because it tends to keep crowds low and lines short. 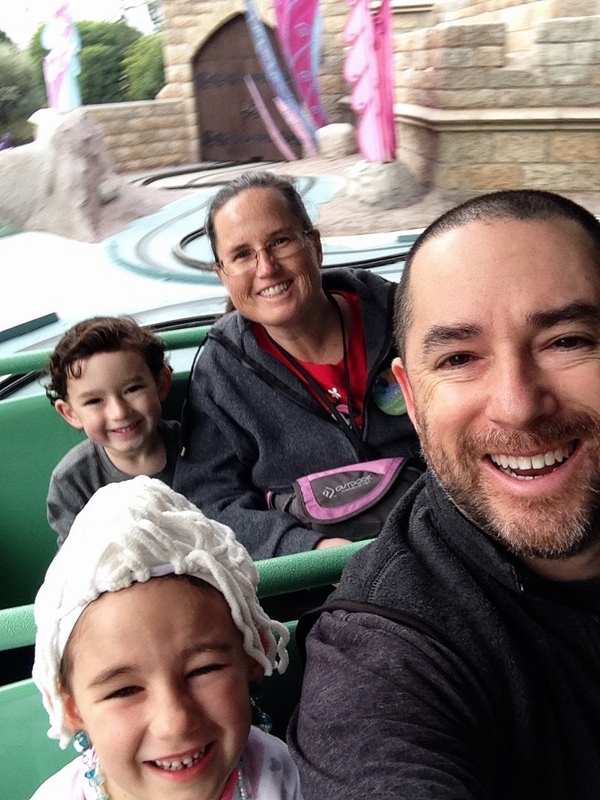 The rain didn’t start until Saturday morning, so we had a full day at California Adventure on Friday before the storm rolled in. I’m thinking it was very lucky for us to start our trip at that park, which I will get to in a minute. Unfortunately, I forgot to pack the umbrellas in the stroller when we left the hotel on Saturday—maybe I was in denial about the rain. If I had to pick which day to forget the umbrellas, I was glad it was on Saturday because the rain really came down on Sunday morning. 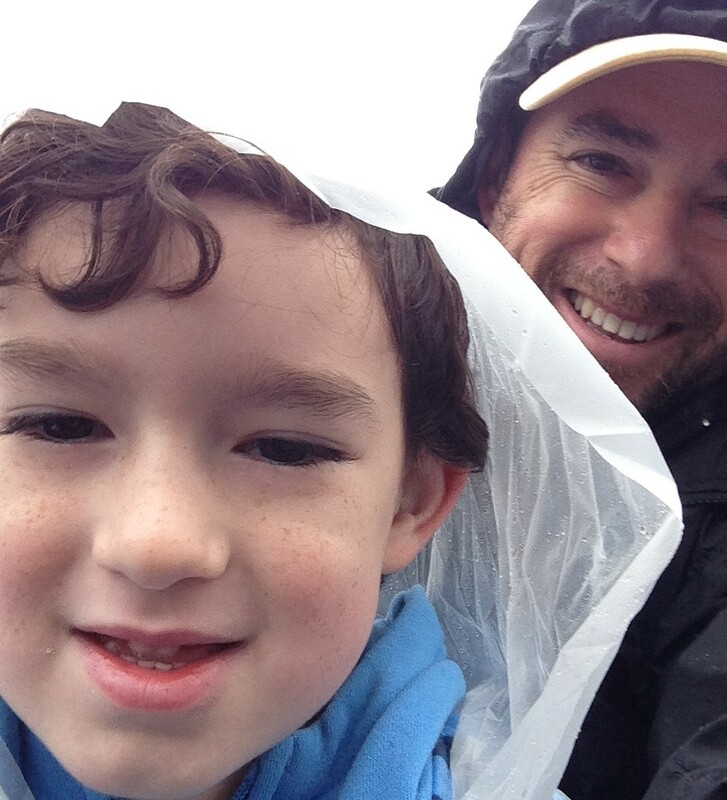 We got by alright with just ponchos on Saturday, except that Carter didn’t want to wear one. We did get some good attractions in before the rain came, like Mad Tea Party, Alice in Wonderland, and Finding Nemo Submarine Voyage, thanks to our early entry. This was lucky for us, because those same attractions were closed later in the day due to the rain! Hmm… I hadn’t thought to consider this, because, like I said before, all the tip pages rave about rainy weather, not mentioning that a lot of attractions will either be closed or miserable to ride in the rain. 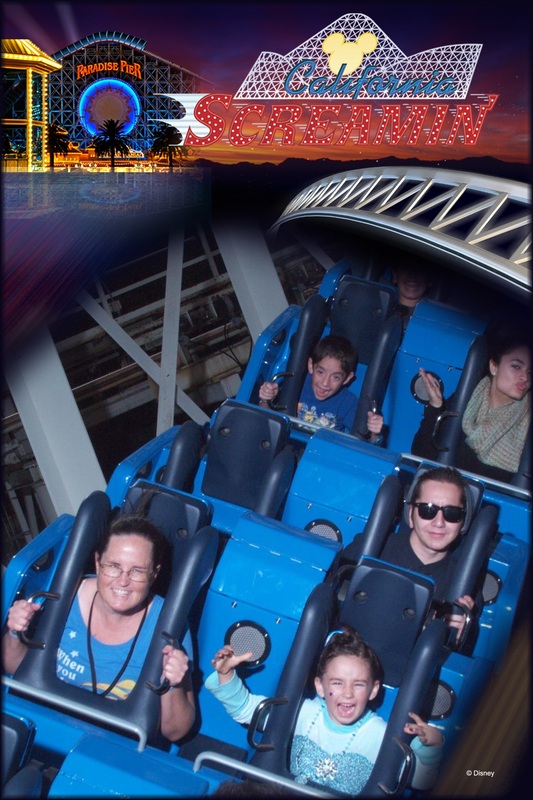 Can you imagine California Screamin’ on a rainy day, going 40 miles per hour with the water pelting you in the face? Like I said, luckily we went to California Adventure the day before the storm hit since that park has a lot more outdoor rides. 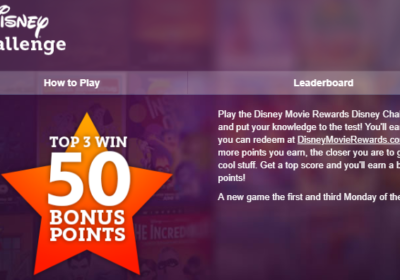 Considering that Disneyland has more indoor rides might make it look like the ideal park when it’s rainy. However, when even only a few rides are shut down, it makes the lines for the rides that operate in the rain that much longer, especially for the rides and attractions that are inside. So then a park that is a little crowded will feel very crowded. Also, the rain doesn’t just affect rides, it can shut down shows as well. 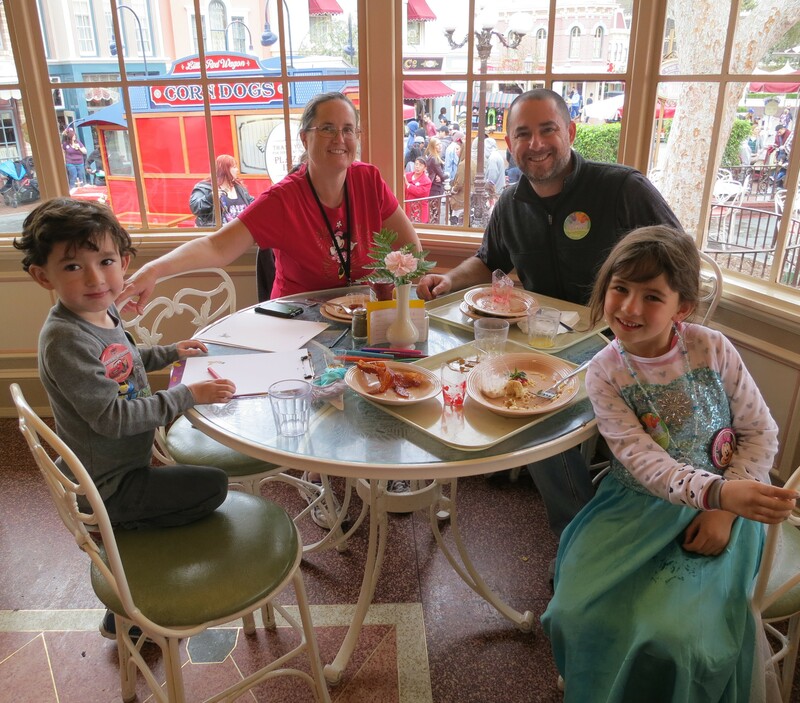 We were supposed to watch the new Frozen show at the Royal Theatre after our late breakfast at Plaza Inn (indoor seating, thankyouverymuch). Turns out the open-air ye olden style theater takes on water when it is raining. It was closed, and the cast member stationed at the door was not sure if they were going to be able to open up for the late-afternoon performances. Even Mickey and the Magical Map had cancelled performances, though the Fantasyland Theater seems completely sheltered from the weather. So where does one go when Disneyland is under water? To Splash Mountain, right? Nope. This ride had only a five minute wait both days we were there. No, the ride that had the longest lines was Big Thunder Mountain. Again, a mostly outdoor, fast roller coaster in the rain seems like a strange choice. How about Enchanted Tiki Room? Well, that one is great once you get inside, but there’s no shelter in the holding area, where you might wait for up to 15 minutes before the next show starts, trying to keep your Dole Whip float from taking on water. While we had a lovely, dry table for our reserved character breakfast, other meals were not so guaranteed. We didn’t even stop to eat our packed dinner the first day due to the wetness (and being full from the Dole Whip floats). Lunch on Sunday was scheduled at Hungry Bear, which has wonderful outdoor seating along the Rivers of America. Now, the most coveted tables were in a very tight circle under the leaky wooden roof where it wasn’t taking on as much water. Good planning had us there early, so we were one of the lucky families to grab a dry table and eat our lunch without our sandwiches becoming soggy. Others were not so fortunate. 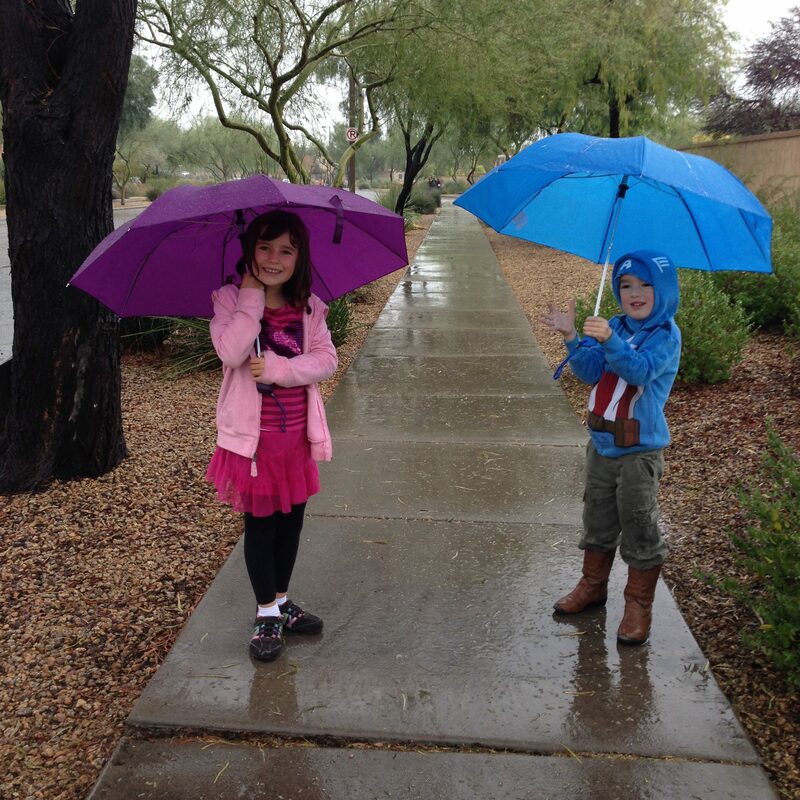 Another consideration for rainy days is that tempers become short in the face of all that adversity. I witnessed a rehash of the same argument between my husband and I earlier that day play out again between a mom and dad over their little boy wearing his poncho. All afternoon, Bryan and Carter battled over that poncho. Bryan was insisting, Carter was refusing, and I was determined to let Carter do what he wanted. Walking in wet shoes all day is enough to make even the Happiest Place on Earth a living nightmare. By the second wet day, Bryan had the idea to cover our socks in plastic grocery sacks so that our feet would stay relatively dry. What a blessing this simple trick was! Our pant legs were soaked up to the shins, but our feet were comfortably dry. Even with the humidity a storm brings, Southern California is still arid enough to have all of our wet things—shoes, hats, gloves, etc—completely dried out by the next morning. 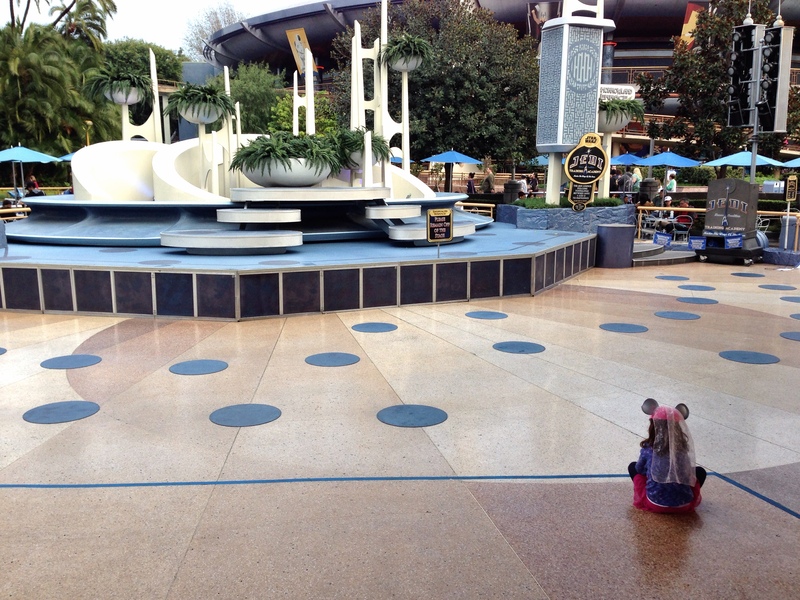 One of the things that my daughter most looks forward to at Disneyland is the Jedi Training Academy. I knew this one would not be going off in the rain, due to it being out in the open, which would present a safety hazard for the participants and performers alike. However, the rain started to let up on the afternoon of our second day, and sure enough, we happened upon a show already in progress. We came early for the next showing, worried that it might be crowded since it hadn’t been running most of the past two days. Not only was it not crowded, the Jedi Master was trying to goad unwilling children in the audience to participate as well. That’s when the promise of an empty rainy day park finally came to fruition. Earlier in the day, an announcement had come over the loudspeaker cancelling that evening’s performances of Fantasmic! 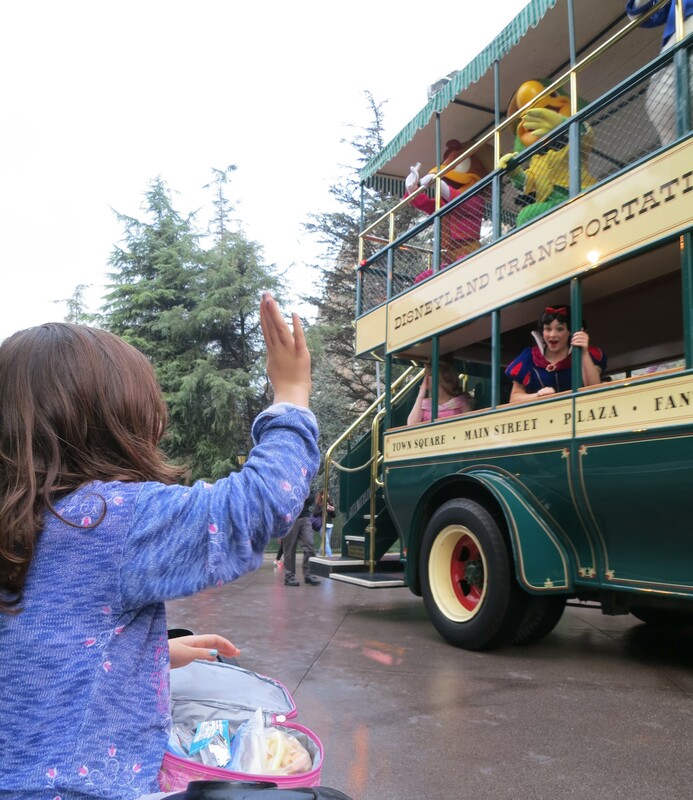 No mention of the fireworks show, and we had already experienced the lackluster Mickey’s Rainy Day Cavalcade that replaces the parade during wet weather. Without the anticipation of Fantasmic!, most of the crowds had abandoned the park by early evening, so it was a little weird to be there late into the evening without any crowds. People are usually staking out spots for the show or bustling back and forth through Frontierland and Adventureland, causing massive nighttime gridlocks. It was quiet and empty, wet, but no longer raining. Surreal. With only a handful of people left in the park, we were able to walk right up to the hub just in time to watch the classic fireworks show, Fantasy in the Sky. Alright, so I can now concede it wasn’t completely awful, just not as expected. 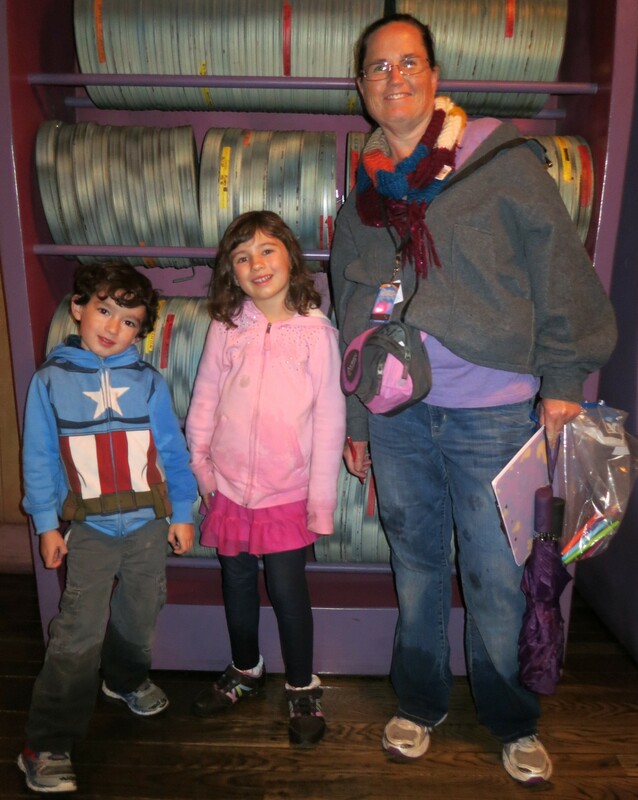 I’ll know better next time we encounter a rainy day at Disneyland, even though I feel like we were better prepared than most. I can’t tell you how disappointed people were when I told them we had gotten our ponchos at the dollar store. 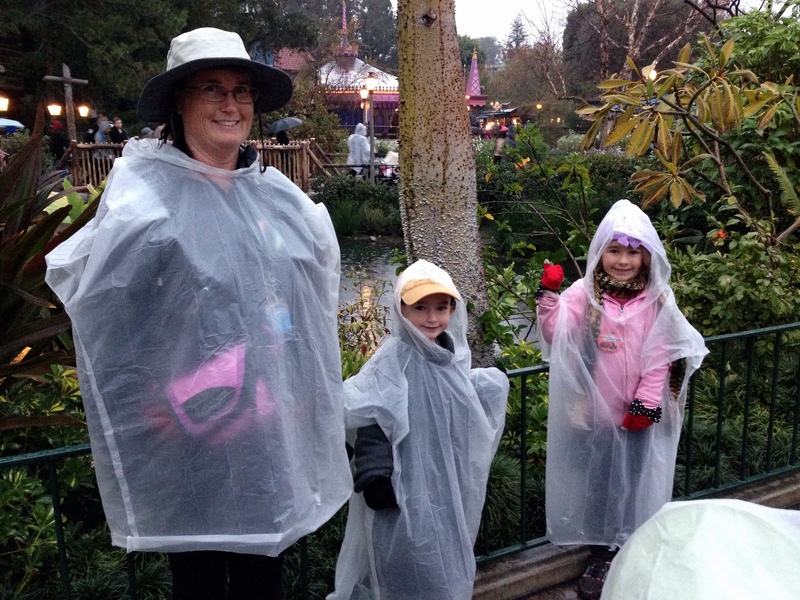 Disneyland charges $8 for them, but really, what better memento of your damp day at Disneyland! 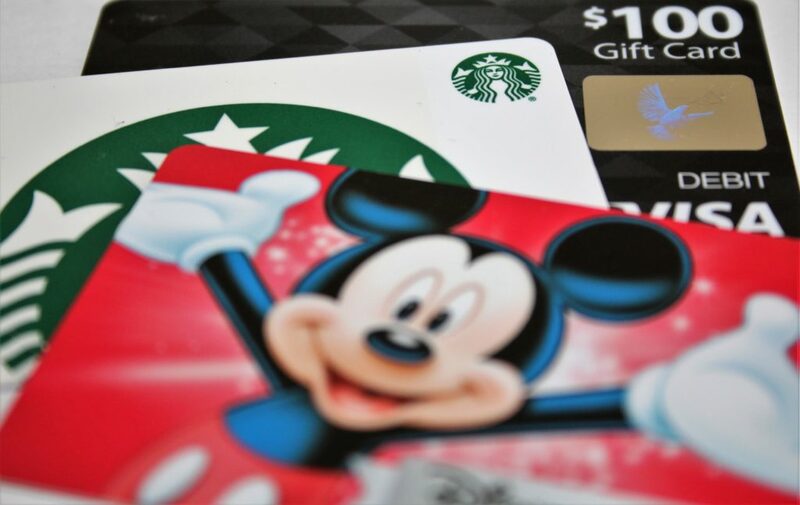 This post was written in 2015, so some things have changed, namely the price of ponchos in the park, Jedi Training is closed, the Royal Theatre no longer shows Frozen, California Screamin’ is the Incredicoaster, and the fireworks show is new.